I thought I would offer a little verse- To those who consider being a smoker a curse- And if you have tried to stop, yet again- And all that willpower applied was all in vain- For real friends would not sneakily destroy your health- And manipulate your time,steal your wealth- If you feel, at last the time has come- Consider hypnotherapy, it works,…and it can be fun! This entry was posted in Uncategorized and tagged cigarettes, giving up smoking, habit, quit, quitting, smoking, smoking cessation, stop, stop smoking, stopping on May 12, 2012 by Ivertherapy. To stop smoking is a mindset *1st : make it your decision then stick with it you do this for you initially, not to please some-one else. *2nd : ask yourself the reasons why you smoke – stressed out, – bored, – concentrate easier, – relaxing , or simply enjoy – anything other reasons ? *3rd : what situations leads you to smoking a cigarette – at the end of a meal, – before going to bed, – with a drink , – on the phone, – maybe you can add more ? 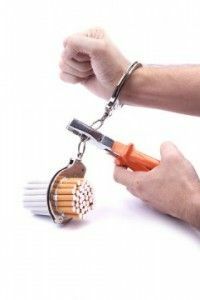 The mechanics and drivers that lead us to smoking are way below conscious decision, so it is far easier to use hypnotherapy , as this changes the way we view cigarette smoking. Helping you identify what drives your smoking routine and the mechanics behind it. I am an expert in my field , so why go it alone ? Whether it is in one session or several my complete package gives you complete support throughout , empowering you to take total control and put an end to nicotine once and for all. Aiming for a life-time of total indifference to smoking. This entry was posted in smoking when to stop and tagged giving up smoking, hypnotherapy, smoking, smoking cessation, stop smoking on May 8, 2011 by Ivertherapy.